Do you have a hard time resting? You’re not alone! You sit down with a cup of tea to try and relax, but your phone keeps beeping. You go for a walk but instead of enjoying the trees and flowers, you’re ruminating about a problem at work. It’s no wonder that the concept of mindfulness has become so popular — we’re all feeling the need to slow down. It can be a challenge but using essential oils for mindfulness is a great way to get started. What exactly is mindfulness and why is it beneficial? According to a Harvard health article, “Mindfulness is the practice of purposely focusing your attention on the present moment—and accepting it without judgment. Mindfulness is now being examined scientifically and has been found to be a key element in stress reduction and overall happiness.” No wonder it’s gaining attention as a way to promote mental, emotional, and physical health! What are some ways to use essential oils for mindfulness? Meditation. Mindfulness and meditation go hand in hand. The idea is trying to take some quiet time to focus your attention. There are books, audio recordings, and apps that can help you get started on your own. However, some people find they do better when working with a group or instructor. Find an approach that keeps you motivated and that is compatible with your goals and your beliefs. You can incorporate aromatherapy into your meditation. e3’s Meditate Blend can help relax the body, quiet the mind, and uplift the spirit, while creating an intentional “sacred space” to enhance the meditation experience. Yin Yoga. This form of yoga is known to unwind tension in your body while refreshing your mind. Yin targets your body’s connection tissue which gives you greater flexibility and strength. Combining this deep physical work, with mindful contemplation can release negative emotions and help your mind, body, and spirit heal. 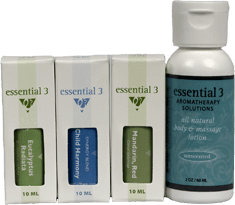 Many of our customers like to use essential oils to enhance their yoga routine. e3’s Courageous Blend is designed to calm, relax, and settle the mind and body, while promoting mental clarity and fortitude. Walking. This is such an easy way to incorporate mindfulness into your day. When you go on a walk, even a short 10-minute walk, use all your senses to stay in the present moment. Notice how your body feels, then look around and notice what you see, smell and hear. Be open and curious about any sensations, thoughts or feelings that come up, without dwelling on them too long. Enjoy the scents of nature as you walk. bad weather or seasonal allergies? Then you may want to try e3’s Forest Blend to experience the soothing scents of the forest while you’re on your treadmill! Inhale…Bring yourself into the awareness of the present moment. It’s good to explore different essential oils and blends to find out what relaxes you! We’re all different, which is why I tell people you need to listen to your nose. 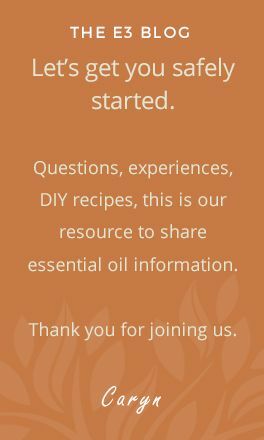 If you want to learn more ways of using essential oils for mindfulness, make sure to download our free ebook.